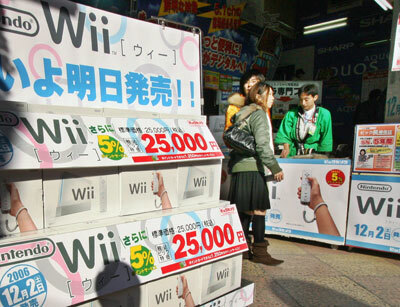 We may have gotten the Wii nearly two weeks ago, but the Japanese launch is going down today/tomorrow, depending on your time zone. Kotaku reports that the lines are made up of gamers from across the demographic spectrum, but then again, they could just be homeless vagrants. Meanwhile, the BBC says that many Japanese stores aren't into that whole midnight launch thing, partly because most gamers already have the system pre-ordered, so there's no need to open up at ungodly hours. And the PlayStation 3? Yeah, there's some good news on that front as well. If Akihabara News is to believed (and they've never lies to us before), getting ahold of PS3 has gotten a lot easier in Japan in recent days. Not easy enough to save Ken Kutaragi's job, but that's good news for folks wanting to battle giant enemy crabs. It's still a bit of a pain to find a PS3 here in New York, but Sony's bound to get its act together... eventually, we hope.